Why Choose Mild to Wild? Why Take a Guided Tour? Accommodates up to 10 guests. Smaller guide to guest ratio for a more personalized experience (up to 5 guests). 1/2 down, 1/2 charged 30 days prior to trip. 1/3 down with remaining balance charged in thirds. We know plans change… so we offer a lenient cancellation policy. An 85% refund is issued for cancellations received in writing 48 hours prior to trip departure. Credit card details are heavily encrypted. All information is transmitted via a secure connection. In addition to the listed trip cost, we collect an additional 7% for River and Land Access Fees (ie. Forest Service, BLM, City, Private Land Use). 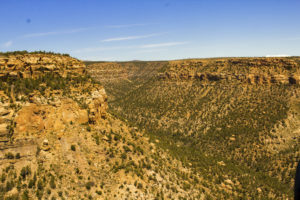 Sit back and relax on the scenic 30-minute drive to Mesa Verde National Park on the old Spanish Trail Trade Routes. Our first stop is the visitor center inside the park for an introductory park orientation. Enjoy spectacular views of fascinating mountains ranges from 4 states (Colorado, Arizona, Utah, and New Mexico) on the way to Far View Ancestral Village. You will be in awe of the five preserved dwellings here which illustrate the Puebloans' amazing innovative design and engineering. 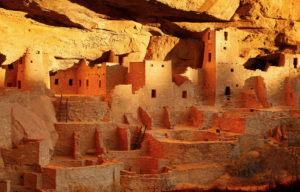 Explore Cliff Palace, the largest and most famous cliff dwelling in North America. Indulge in a delicious boxed lunch catered by our favorite bakery. 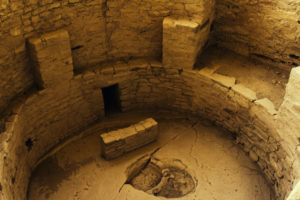 Travel back in time from 500 AD to 1300 AD on the Mesa Loop and explore various archeological sites, cliff dwellings, pit house and scenic overlooks. Colorado Car Seat Law states children up to 8 years old must be in an appropriate car seat. Please bring your own. Dress in layers. Summer is cool in the morning and hot by the afternoon. Fall, Winter and Spring bring a warm coat, hat and gloves. Bring sunglasses, hat, sunscreen, camera, water bottle and cash for any treats or souvenirs. Descend a flight of stairs to access Cliff Palace. To exit, climb three sturdy ladders about 10 feet each. If you prefer, you can view Cliff Palace from the overlook. Great trip for the whole family – educational, entertaining, memories that last a lifetime! This Package combines the San Juan Skyway, Durango Train, and a jeep tour of preserved mining towns. Join our mailing list for discounts, special events, and more.